We have been drooling over the Lawn at Glen Abbey now for about a year, long enough for the good folks at Hawkins-Welwood to finish up another astonishingly gorgeous home for us to consider as the perfect “downsizer” specimen. Bonus brownie points: it’s 4099 square feet of luxury living. The master and study are on the first floor, giving you a second bedroom option, with two bedrooms and a game room up. What do most downsizing baby Boomers want in a home? John Hawkins would know: a focus on first floor living and all the amenities they are used to in the larger estates they are shedding. Just not the yard, exterior maintenance, and please, not too much house. 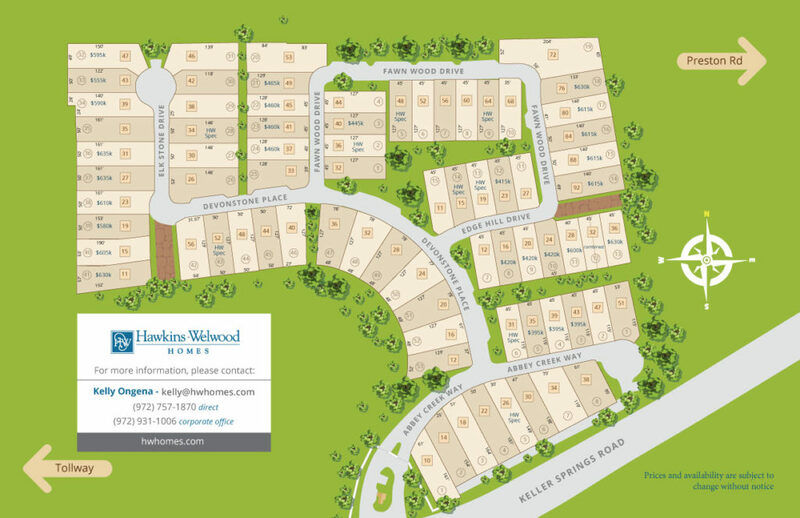 Far North Dallas is the place to be if you’re looking for bigger homes and a more suburban lifestyle north of LBJ Freeway. It’s the last stop in the city before you get into Plano and it is bordered by Addison and Richardson, too, so the schools are generally quite good (Richardson and Plano ISDs). In this week’s Splurge vs Steal, we’re headed there to two lovely houses that exemplify the fine living available in Far North Dallas. Which one is your favorite? Glendora seems to be the street du jour, no? And I love a good hip-pocket listing. It gives a property a certain exclusive cache, doesn’t it? What’s better is a hip-pocket listing I love, and that’s 6446 Glendora. This home, built in 2001 by Hawkins Welwood, has 7,000 square feet of indoor space that manages to feel cozy, not cold. That’s thanks in part to the use of muted colors and natural finishes, and especially exposed wood beams. This appointment-only, off-the-open-market listing is priced at almost $1.68 million with Dave Perry-Miller, which puts this home at almost $240 per square foot. You can tour this amazing home, along with a few other select properties from Dave Perry-Miller Fine Homes, on Sunday from 2 to 4 p.m. There are six bedrooms, six and a half baths, and plenty of room for your brood to spread out. The backyard has a great pool and spa, plus a loggia that’s great for dinners with close family and friends. The kitchen, while lovely, feels lik it’s missing something. 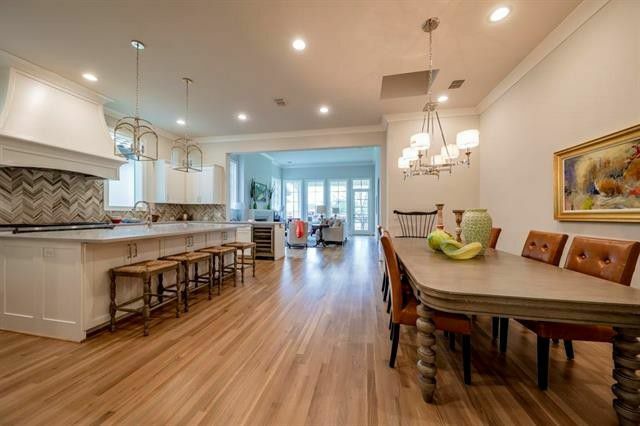 I guess the wrought-iron light fixtures in the den and breakfast area make me feel as if the island should have a huge pot-rack strung above it. Instead, there is a pendant here or there and other task lighting, which plays up the beautiful cabinets. Still, it’s a purported problem that is easily fixed. The master suite has a five-piece bath with separate vanities — a wonderful feature for those among us who are not morning people. And there are windows, too, which hopefully don’t allow neighbors to gaze inside, but that’s nothing a little curtain won’t fix. Besides that, I love the French doors in the bedroom that not only let in so much light, but they also open to the backyard. The backyard isn’t a tiny space, but given the size of the home, it’s not a large one. There’s plenty of room for entertaining in the 150-foot by 125-foot yard, which includes a great pool and grassy play area. 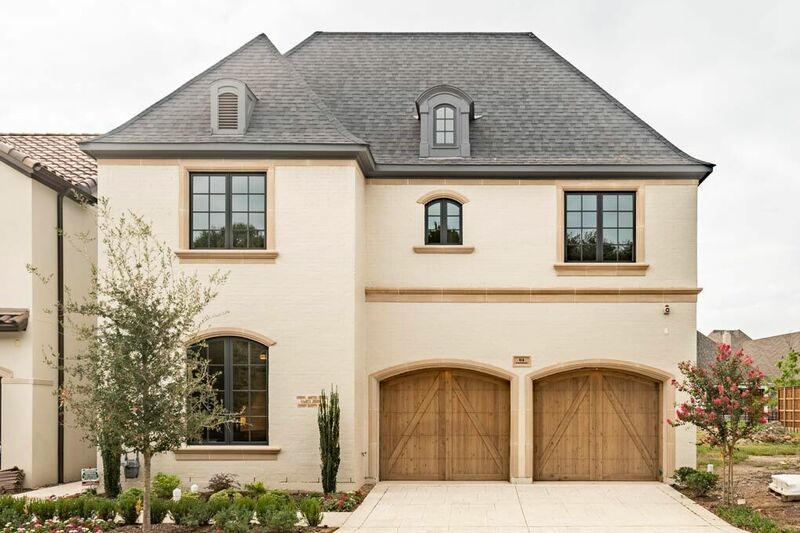 Want To Waltz Through This Preston Hollow Abode Like You Own The Place? Get in Line This Sunday, Because It's Not on MLS!